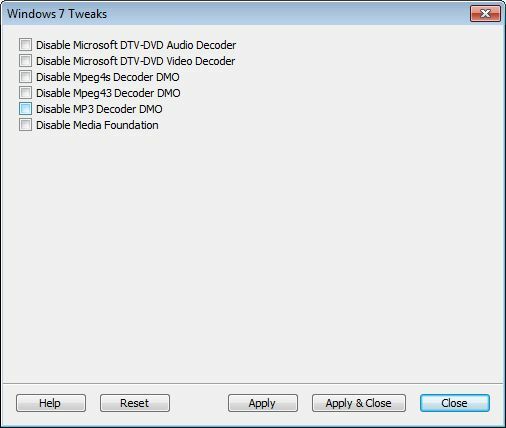 Windows 7 uses its own DirectShow filters for decoding several audio and video formats. Using third party filters instead of the native filters is not possible without making changes to the Windows Registry. 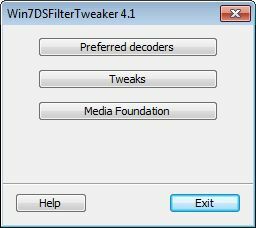 Preferred Filter Tweaker for Windows 7 allows you to configure your preferred DirectShow filters with just a few mouse clicks. It is quick, easy, and changes can be always undone. 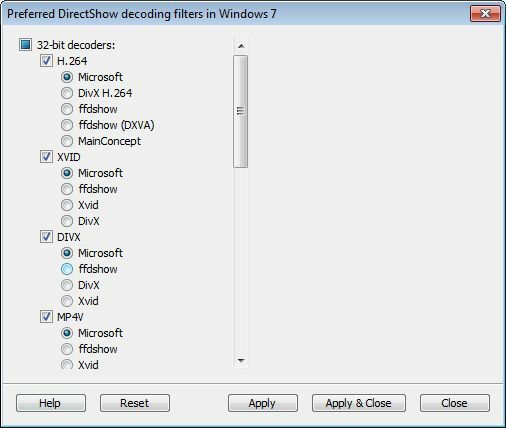 If you for example prefer to use ffdshow or CoreAVC for decoding H.264 video then you can do so by using this tool. This tool is particularly useful for the Microsoft players, such as Windows Media Player and Media Center. 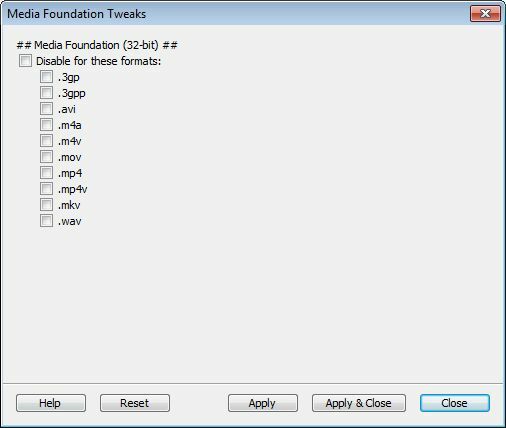 Certain advanced third party players, such as Media Player Classic, are capable of using third party filters without the need for this tool.